From former presidents to Hollywood stars to land-grant ranchers, the idyllic sophistication of Santa Barbara County has never failed to mesmerize anyone! Are you planning to move to this pastoral county to start a new life or kick-start a new business venture? Then what you need are reputable and reliable Santa Barbara movers who can expertly make your relocation process a seamless and hassle-free experience. California Movers is a moving company in Santa Barbara dedicated to offering affordable and efficient relocation and storage services in a well-timed manner with no hidden fees and a 100% satisfaction rate. Residential moving - We specialize in bringing each transported item as it was before packing. We achieve that result thanks to our streamlined scheduling approach. Commercial Moving - Our team at California Movers work tirelessly during the nights and on weekends to carry out long-distance relocating, thereby saving a lot of time. Storage Services - If your moving day is put off, where do you keep your possessions? To eliminate this inconvenience, we offer storage facilities so you can easily ensure the safety of your possessions. Long-distance moving - We at California Movers perform relocation assistance for those who require help moving a long way from their previous office or home. We have the relevant experience and skilled drivers, packers, and logistics managers in California who can deliver a prompt and smooth relocation experience. Piano Moving - Pianos are usually an expensive and delicate investment that calls for an efficient transportation during the time of relocation. We are also piano movers, properly trained with the best practices and are fully equipped to handle the moving of these large instruments. Whether it be uprights, baby grands, spinets, concert grands, grand uprights, or any other kind of pianos and organs, we've got you covered! We are movers in Santa Barbara dedicated to offering high-quality moving solutions. Our moving team is highly trained to handle your specific needs precisely. This ensures that your furniture and other household items are transported in the quickest and most efficient manner. From the price of our services to the quality of our movers, our core focus lies in providing you the highest quality and customer-friendly experience. We realize that moving right across the street or moving across the state can be equally taxing, and we work our best to minimize that stress. Whether you are switching homes or moving your business, we are affordable movers who can help you with all your relocation needs in the quickest and most efficient manner. California Movers is a reliable moving company in Santa Barbara that has the potential to relocate offices and businesses of all sizes, thus reducing the downtime and also meeting the budgets of both small stores and regional business branches alike. Not only do we deal in moving services, but also storage, piano, and furniture moving. Our work scheme involves first making an estimate of the scope of work and then preparing an office relocation plan and schedule. This allows us to be quick and efficient. Since our team is very far-sighted, our movers are always prepared to deal with anything unusual in the best possible manner. Lastly, we value your time and thus perform the relocation activity after office hours and on the weekends. Santa Barbara, California is considered to be one of the best places to live in not only in the US but also the whole world. The American Riviera is appreciated by its beautiful scenery, excellent weather all year round, good employment opportunities. However, even in paradise, there might be some negative sides to mention. Many people think about moving to this city, but not everyone realizes what it means to live in Santa Barbara in reality. If you plan a relocation to this city or just want to learn more about it, look through the following information. Do you want to make your life a party? Goleta is a perfect destination famous for its entertainment and festivals. It is a home to the airport, university, premier shopping centers, beautiful parks as well as to the most densely populated area west of the Mississippi. With a spectacular view of the mountains and diverse architectural styles, San Roque is one of the most preferable places to move to. It is a residential area that is perfect for raising kids. There are many green parks, good schools, and a lot of fun. The first association made with the Mesa is an eye-catching view of the city and coast thanks to its uphill location. It is a destination chosen for moving by young families with small kids because of a variety of parks and playgrounds located here as well as an elementary school. Located not far from the downtown, it does not take much time to get there too. When a family with kids moves to another city, one of the main challenges they face is to find a good school for children. 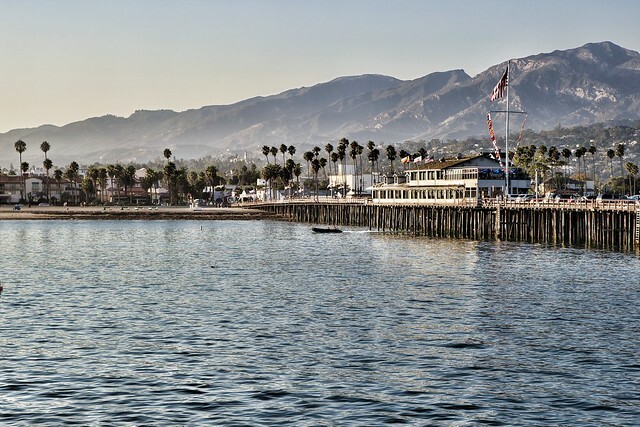 Santa Barbara can boast one of the best secondary education around the US, however, the city is densely populated, so the number of pupils is also rather big. If you want to give your child a quality school education, consider the following schools. The highest-rated elementary school in the city is public. There are 343 students with test scores far above the state average. All teachers are certified and almost all of them have more than 3 years of experience. The ratio of students per teacher is 19:1. One of the best junior schools is also public. The number of students here reaches 947 people. Most of the pupils are performing at or above grade level, while 97% of teachers are experienced. The ratio of students per teacher is 23:1. If you look for a good high school, this public educational institution is worth your attention. With 2181 students, there is a 90% graduation rate, where 71% of students are ready for college. There are 87% of teachers with over 3 years of experience, and the ratio of students per teacher is 24:1. Are there a variety of higher education opportunities? There are many smaller both public and private higher educational institutions as well. *100 represents the US average. My movers were from California Moving Company, and I very happy I hired them to help me with my relocation. They had great social skills and totally knew what I wanted from them. To my relief, they knew how to move things without damaging them. They were very nice to work with. Guys kept the whole move day fun. So I can recommend this company without sad thoughts! Thumbs up guys!